This article breaks down what is herbal vaping and shares details of it and its inclusion into the vaping market to appease those interested. 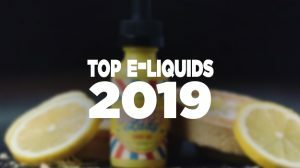 In the past five or so years the vaping industry has been forced to endure a quickly growing market that’s aimed more towards herbal vaping. For those that have only vaped using traditional methods, like the combination of an ecig and e-liquid, may not know what herbal vaping is, but could be interested. This article isn’t an attempt to push anyone towards this side of the market, but more-so to answer questions and broaden the knowledge of those who read this blog. As many of us know, vaping is when a vaporizer is used to heat a product to the point where it turns said product into a vapor form. With e-cigs we heat a liquid product that contains Propylene Glycol and Vegetable Glycerin, which is known as e-liquid (ejuice, vape juice). Vaporizing cannabis is very similar, except it isn’t in a liquid form (although there are ways to vape it in broken down liquid or wax forms) and doesn’t contain ingredients found in e-liquid (some products do contain vegetable glycerin, such as CBD e-liquid) for the capability of turning into vapor. In fact, when herbal vaping you are simply heating dried cannabis (more on that and other ways as you continue reading). The question is, how does this work — how does it actually turn into a vapor form once the process is complete? It’s really simple actually. When herbal vaping you’re heating a dried cannabis at just the right temperature, which is just below its combustion point of 392°F. You see, just like vaping e-liquid, herbal vaping eliminates combustion. Though us vapers that are more geared towards a nicotine alternative to eliminate the combustion, those who use cannabis are moving towards herbal vaping to eliminate combustion and the harmful effects associated with it. Whether you agree with the use of cannabis and herbal vaping or not, the people that use it are simply looking for an alternative route in what they do that is less harmful to themselves. As nicotine vapers we traded in traditional cigarettes because of several health benefits, as carcinogens and tar were two of the main culprits for rapidly deteriorating people’s health. Smoking cannabis (marijuana) presents the same health strains, including carcinogens, tar, etc. How Does Cannabis Turn Into Vapor? What happens is the dry herb is heated to a point where cannabinoids (the resin of the flower) are released, creating a vapor form. This process is all done without even igniting or destroying the material (dry herb). It’s pretty incredible how it all works. What To Use For Herbal Vaping? Vape Pens: A vape pen is often designed to heat liquid rather than a dry herb. In fact, many of the e-cigs on the market today can and have been used for in the herbal vaping side of the market. These vape pens are simply smaller vaporizers that’s either an e-cig or shaped very similar. They’re meant to be convenient, discrete, and far cheaper than other vaporizer products. 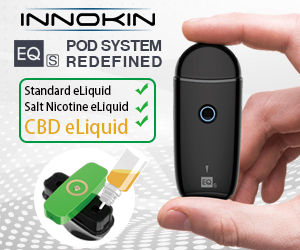 This type of vaporizer uses products like CBD and oils that are essentially liquid forms of cannabis (often mixed with vegetable glycerin to produce a vapor). 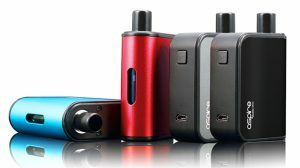 Portable Vaporizers: Portable vaporizers have become more popular due to the technology that they offer. As the name says, these vaporizers are portable, ready for you when you’re going to be more mobile, but are often slightly different than a standard vape pen. Portable vaporizers are geared towards several types of vaping and are used in several ways. There are some portable vaporizers that are used as wax pens, some for concentrates, and others for dry herb. Either way they’re all basically the same, they just use a different process dependent on the product or material being used. Desktop Vaporizers: Referred to as the “stay at home” vaporizer, the Desktop Vaporizer is a stationary device that is far larger in size. 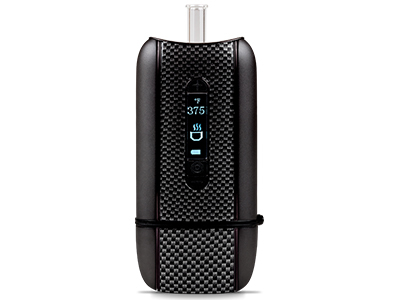 These vaporizers pack plenty of power due to them typically being plugged into a wall outlet. What’s so impressive about these devices, despite its lacking portability, is that they’re known for delivering a higher quality vapor with the use of a convection heating source. In addition, using a desktop vaporizer will present several more features and more benefits to using them, such as being able to attach balloons or embarking on a group vape session — yes, we’re pass the days of passing around a joint. Due to their larger size, you can also expect bowls with a greater capacity as opposed to smaller portable vaporizers. 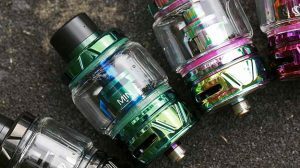 Like many of you that read this blog, I use nicotine delivery devices, mods and e-cigs for my fit into the world of vaping. However, I’m interested in herbal vaping. I did smoke marijuana in my younger days so the ability to vaporize the flower, or its resin, is appealing and peaking my interest. I’m diving in and researching the herbal vaping market and its product, but have only tried CBD in combination with one of my sub-ohm tanks. Whether this is something you’re wanting to get into or just interested like myself, I hope this information has helped in some way. Great article. I think it is definitely due and there are many people who need a more clear understanding of the fact that igniting pot in any fashion produces tar and carcinogens vs vaping that produces cannabinoids and vapor. This article might have benefited by a more in depth discussion of the technical (?) or more information about the pros and cons of the different methods. It seemed to me that although an article like this was definitely overdue, it brushed over the “education” and jumped to where to purchase. I guess I just felt the educational portion could have been more in depth. The lack of technical writing comes from a lack of complete research. I’ve been researching this topic for a couple weeks, as I’m not someone that has experience with these products and using them. 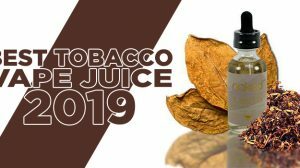 I merely researched and used information that I’ve gathered, giving more-so of the basic fundamentals of herbal vaping. That’s exactly how I started blogging about e-cigs, e-liquids and other vaping products as well. Do my research, share what I learn, and gain experience in places that I can or fit my preference. I appreciate your feedback. I do have about 15 more articles on the topic that I will be publishing over the next couple of weeks.